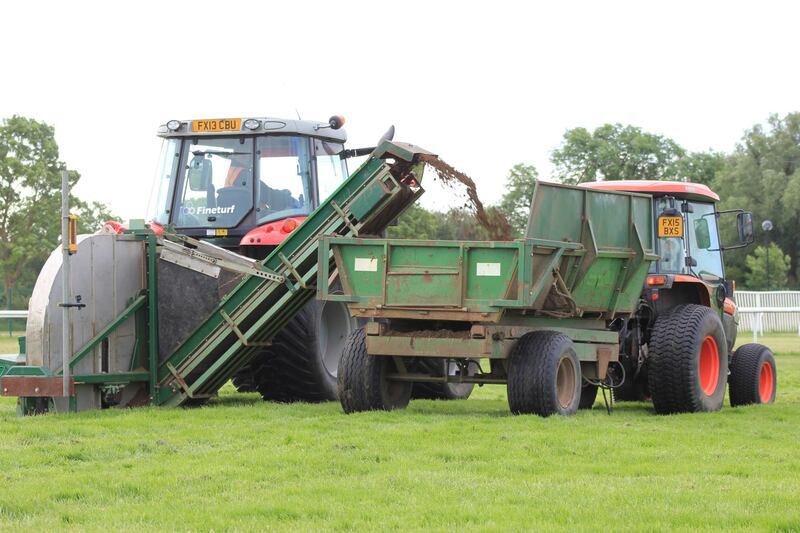 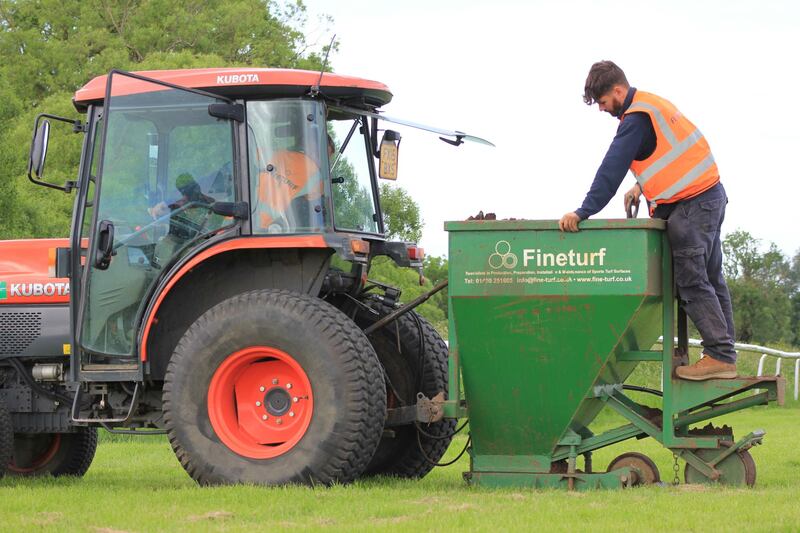 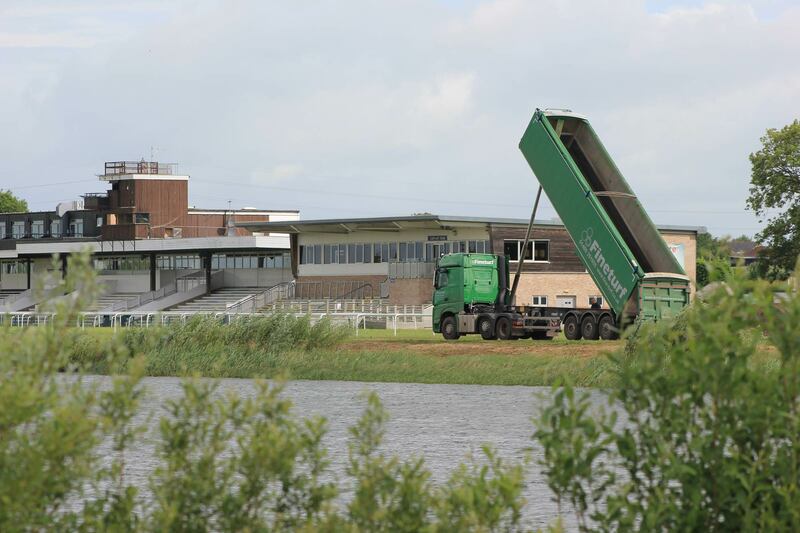 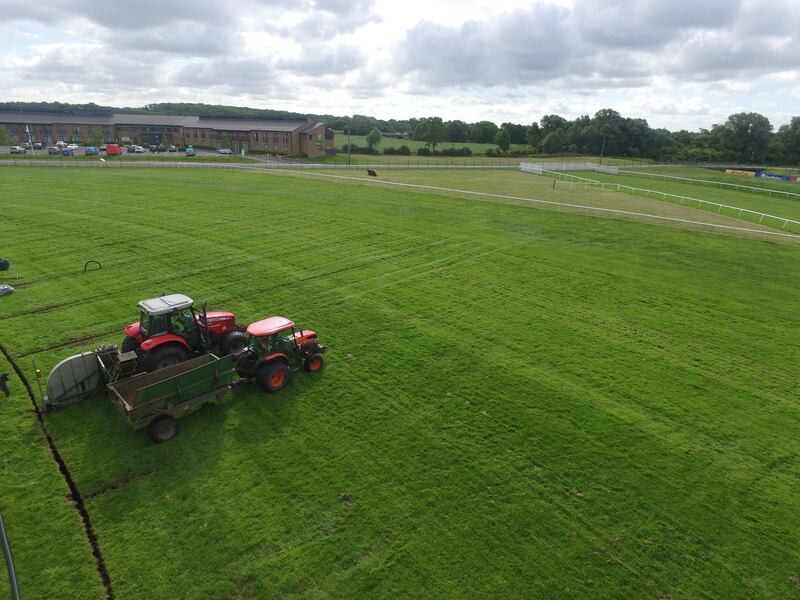 This summer we returned to Huntingdon racecourse where we had previously worked in 2013. 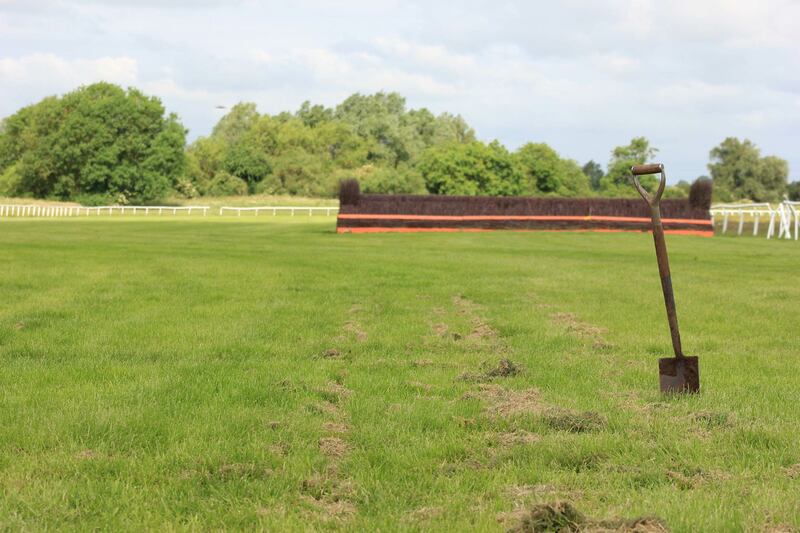 Part of that project was to rectify the levels on high impact areas of the course; the jumps and landing areas. 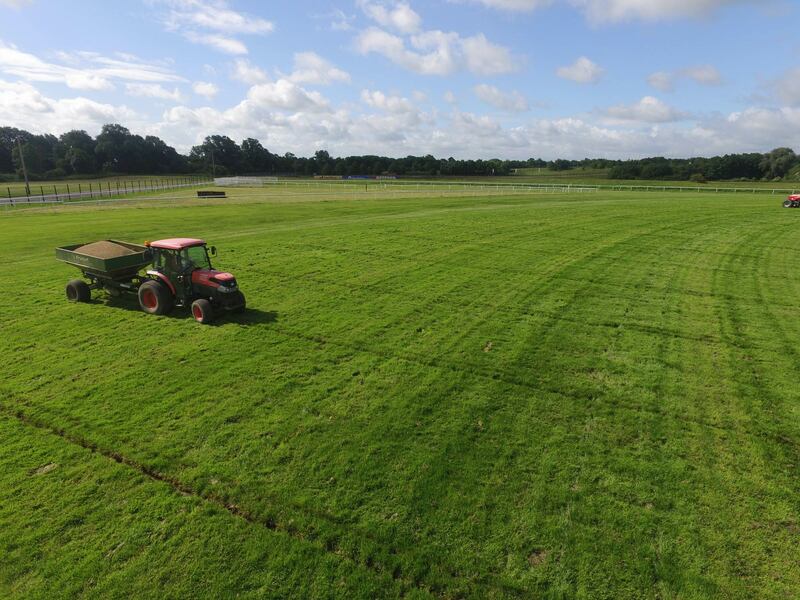 Throughout the racing season these areas are regularly repaired with divot mix which contributes to the subsidence and poor levels. 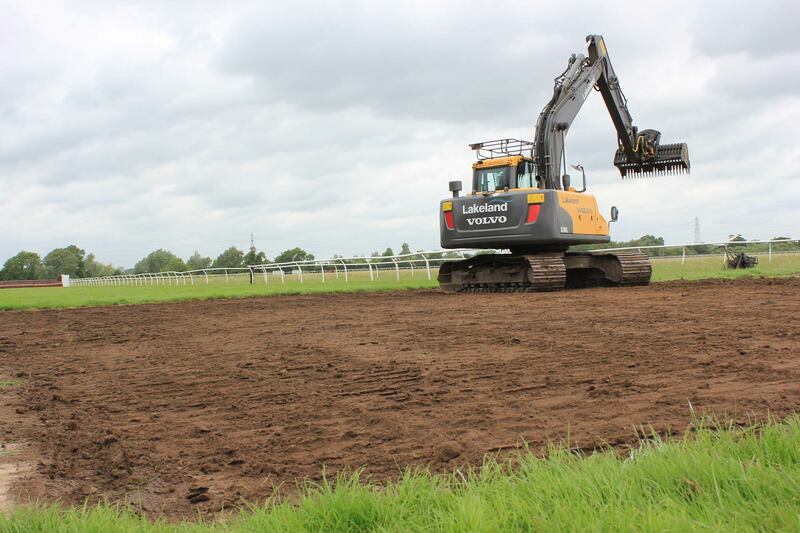 This project involved similar works. 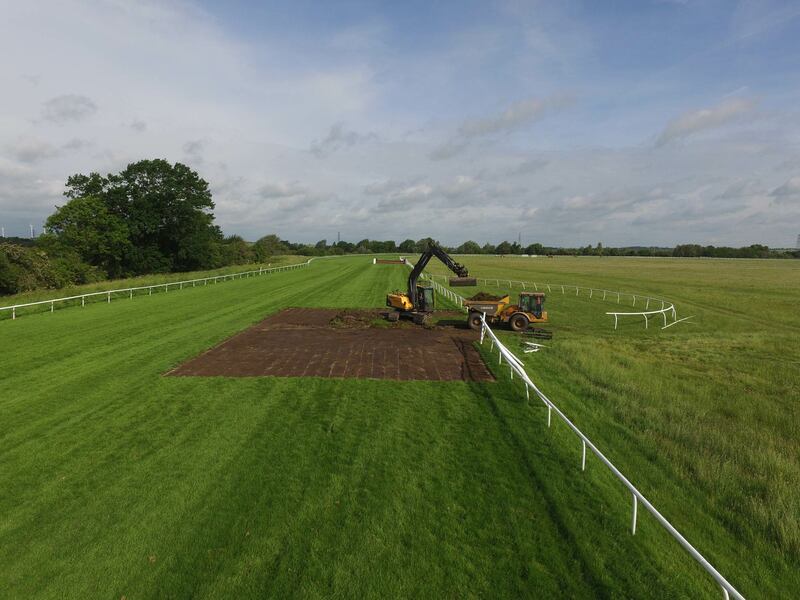 The existing turf was removed and a toothed bucket used to loosen the surface. 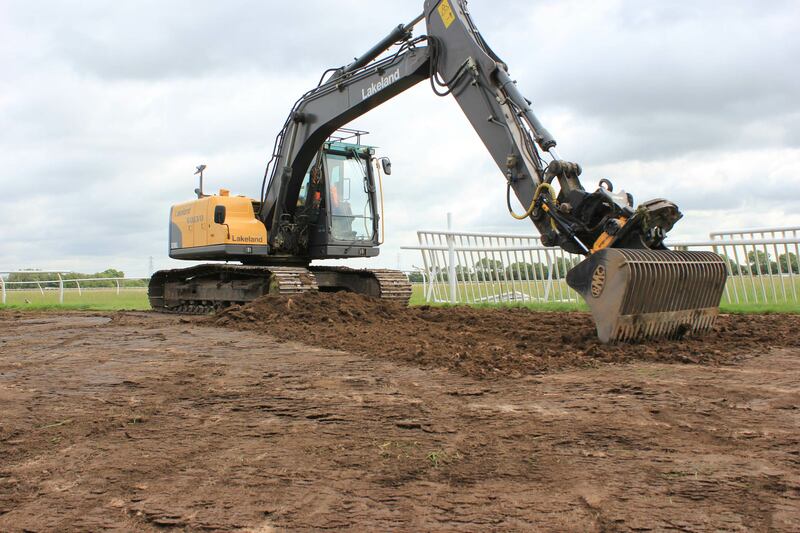 The topsoil was graded to ensure the correct levels with the surrounding track. 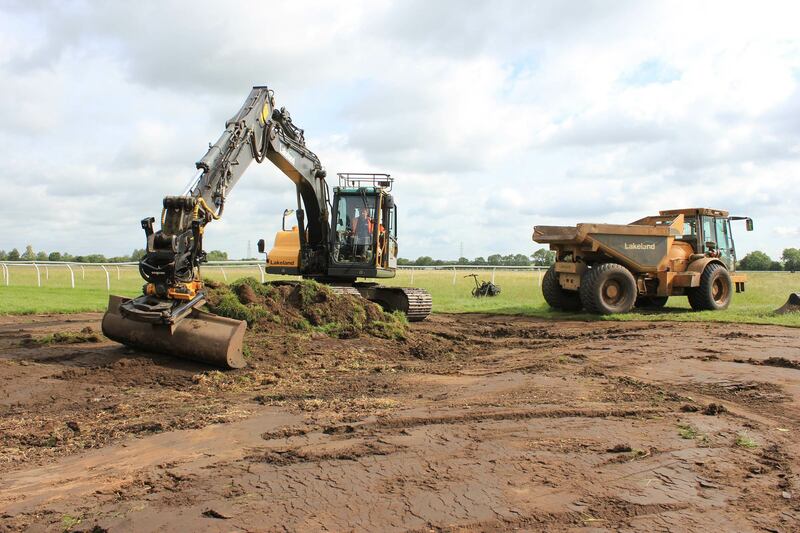 The topsoil was tracked in and prepped with a rotor rake. 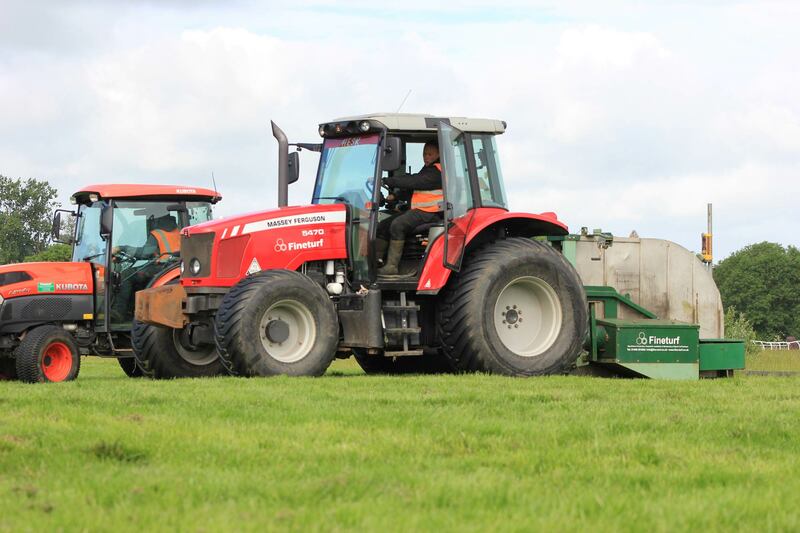 Finally, a 6:5:18 fertiliser was applied and Limagrain MM60 sown at 70gm/sqm. 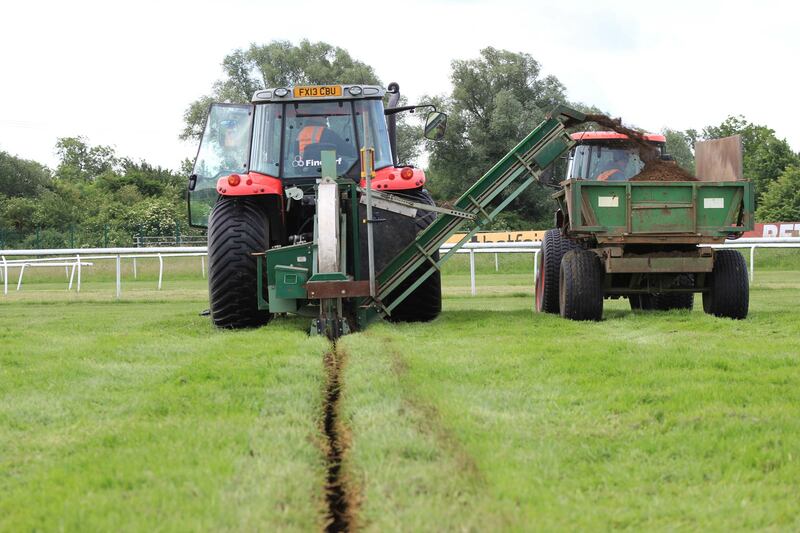 During the project we also installed drainage to improve the ground conditions for winter racing. 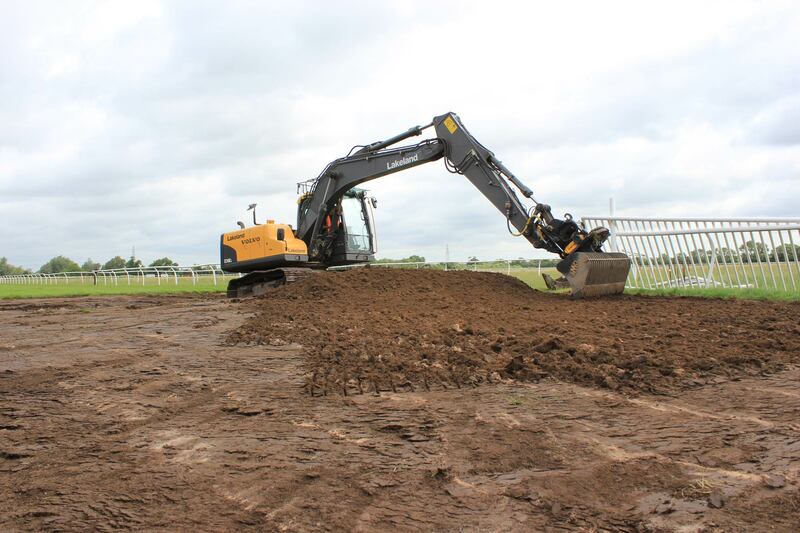 A main drain was excavated at 600mm deep and backfilled with 100mm pipe, gravel and sand. 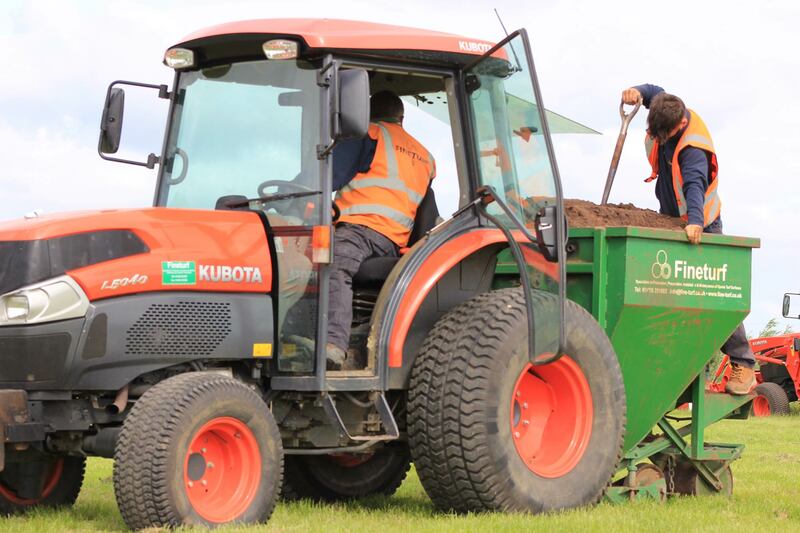 Lateral drains were cut at 5m centres, 500mm deep and backfilled with 80mm pipe and gravel to within 150mm of the surface. 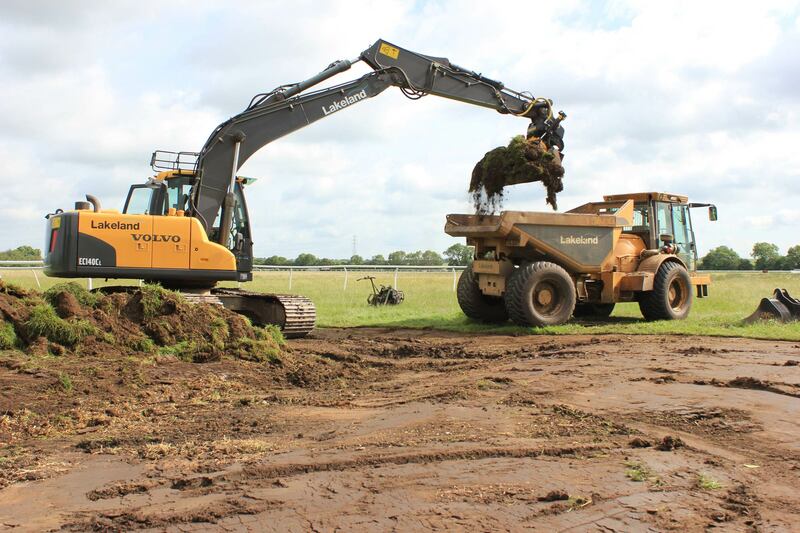 The trenches were topped up with sand.